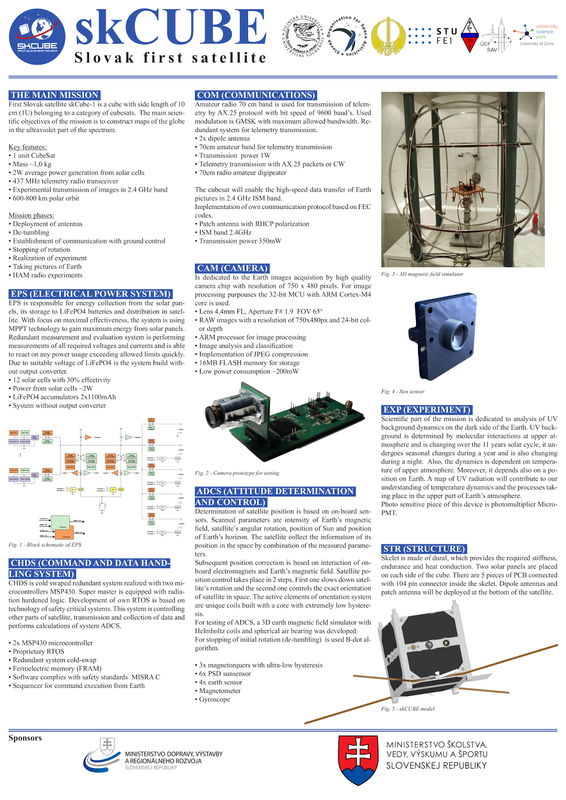 A few months ago, the American University in Sharjah also launched a cubesat called NAYIF-1: http://www.arrl.org/news/nayif-1-cubesat-to-have-funcube-transponder. 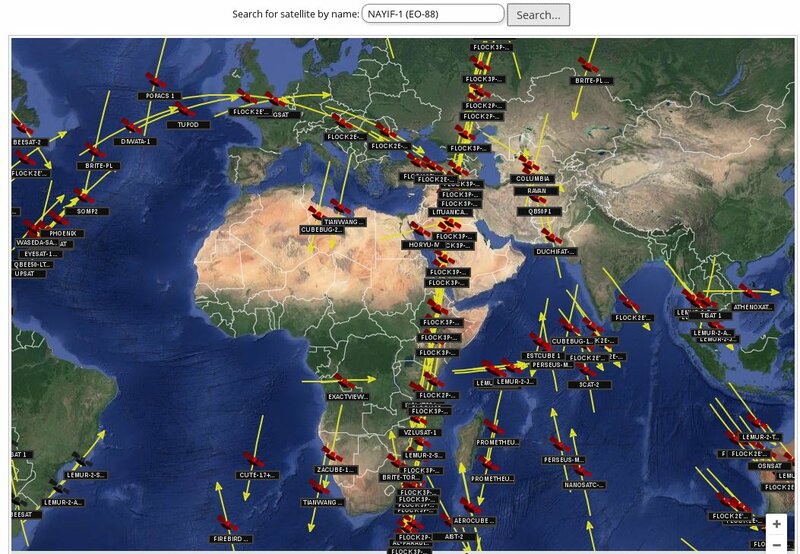 It has been passing overhead many times and I was a bit miffed that I did not know about it before the launch, had no idea how to connect to it and to my knowledge, the radio amateur law in the UAE did not allow foreigners to operate. The NAYIF-1 satellite is a CubeSat-5, which is a little different from the CubeSat-1. 145.940 MHz 1200 bps BPSK FUNcube beacon. 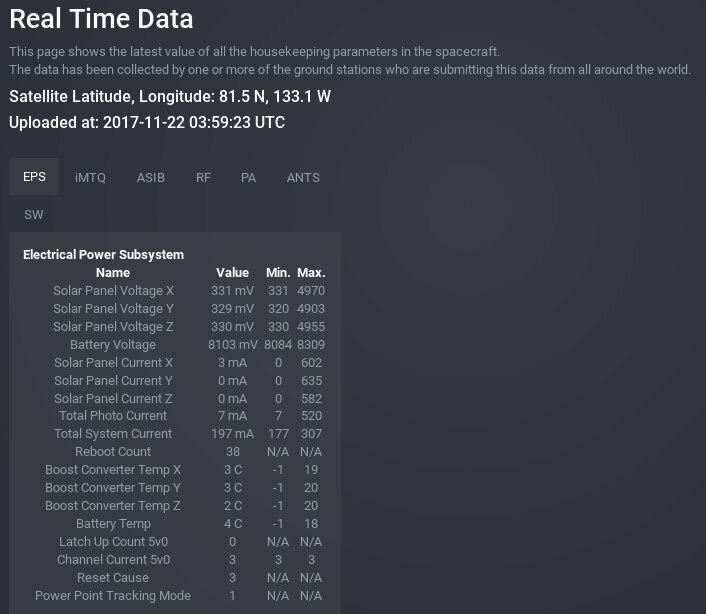 To see all the cubesats currently flying, try this: https://in-the-sky.org/satmap_worldmap.php?day=4&month=7&year=2017&hour=10&min=50&show=sl&show=st There are hundreds. Which ones are actually working is another matter though. In practice, you need to know exactly when the satellite will pass overhead and then you have one or two minutes (depending on the height of the orbit) to bounce a message through the transponder before it disappears over the other horizon and then you may not see it again for several hours. A new Yaesu/Kenwood/Icom/Xiegu/Alinco transceiver will cost around $800 to $8000, but you could buy a radio kit for $200 and assemble it yourself and end up with a similar high quality transceiver. If you design the whole toy from scratch like I usually do, then it may take years to complete, it will likely end up costing $500 or more and the quality will be much inferior, but it will be a whole lot more fun to do and you could then say: This is a total piece of junk, it barely works, but I built it myself! You could follow a somewhat easier path and build a ham radio kit, some of which are amazing quality and will look exactly the same as a factory built unit, but you could buy a second hand rig on Ebay for much less. Due to the present low sun spot cycle, the 40 meter (7 MHz) HF band is best for long distance work and the BITX40 is ideal for that. With the BITX40, you can chat to someone on the other side of the globe on SSB if you have a proper antenna (With a 15 meter flag pole and a tuner you can look very patriotic too!). Of course, someone then went and did the same with a radio built entirely from small signal PNP transistors! A simple little radio can be much fun to chat to people around your city, but they are usually unstable and the transmit frequency will drift. A good radio will lock on and follow a bad radio, so you can have fun provided that whoever you try to talk to has a good quality rig. It will also help a lot if you run your fun radio off a battery and let it warm up and settle down for 15 minutes before you transmit. A 7 Ah motorcycle battery is stable and has no noise and will make your toy work much, much better than a noisy unregulated wall wart and then you may be able to rag with someone hundreds of kilometers away on less power than a child's night light. 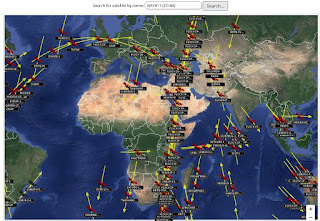 The best ham resources are probably the DXzone and ARRL web sites. All the radioham utilities are available on Fedora, Ubuntu, Slackware, OpenBSD, Mac... but you can also try Knoppix or Shackbox if you want to run off a USB stick without actually installing Linux on a machine. Everybody associates ham radio with Continuous Wave Morse code and if you listen to the HF bands, then you will hear a lot of it. CW with Morse was the first digital telegraph modem about 200 years ago. However, nobody learns to send Morse any more. I was in the Corps of Signals in 1982 and didn't learn Morse - it was already long obsolete. There are a multitude of modem programs that run on common garden variety computers that send data via the sound adaptors. The most common ham modem modes are RTTY, PSK31 and CW Morse - there are many, many others, but it doesn't help if you are the only one trying to use it, since it will make you feel very lonely. However, as with most software things, you need at least a half decent computer and any half decent computer works better with Linux or BSD than with Windows. The Windows scheduler is not good for real-time operation and therefore cannot do encoding and decoding very reliably since it stutters too much. This is why you will see many disparate reviews of the same amateur radio software, with one bloke saying it works great and the next bloke saying it doesn't. If you don't want any hassle, use a Macintosh (which runs a kind of BSD). Best of all, you don't even need a radio to try it. You can install FLDigi and play through your sound system to hear first hand what it does, or even let two computers side by side, talk to each other over the air, never mind the ether! The information on the NAYIF-1 CubeSat is scattered all over the place. Here is a summary of what I could figure out. According to that, it is working fine. The beacon can be received with the Windows only FunCube Dashboard software and matching SDR dongle. It should be possible to get something with a RTL-SDR widget and FLDigi set to BPSK, but first I would like to see a power spectrum density graph, since I have no idea how the beacon data is encoded. It sends packets with error detection and correction, but I haven't found any useful details yet. The transponder is a linear 'bent pipe', so one can send anything through it with a suitable 5 Watt transceiver, a right handed helical antenna and a modem program. So to send/receive through it, one needs something like a HackRF1 SDR radio with fldigi and a 9 dBi RH helical antenna. This should be a generic AmSat setup that should work with any other amateur satellite transponders. 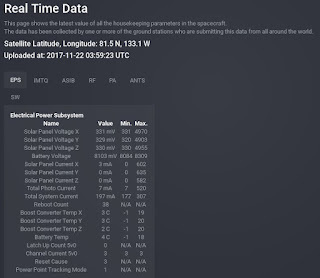 The orbital ephemeris data is available on the http://www.heavens-above.com web site under the name EO-88. --. .-. --- ..- -. -.. / -.-. --- -. - .-. --- .-.. / - --- / -- .- .--- --- .-. / - --- -- / -.-. --- -- -- . -. -.-. .. -. --. / -.-. --- ..- -. - -.. --- .-- -. --..-- / . -. --. .. -. . ... / --- -. Have fun with the Funcubes!